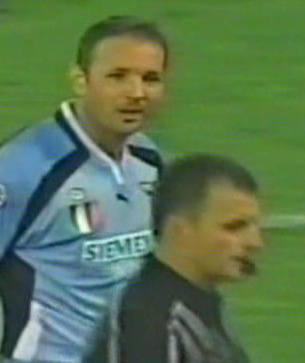 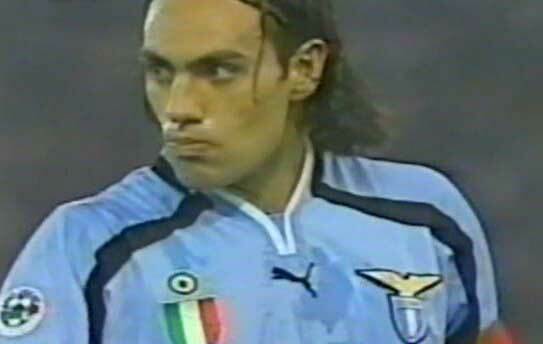 The hard-earned Scudetto adorns Lazio uniforms in the 2000-2001 season. 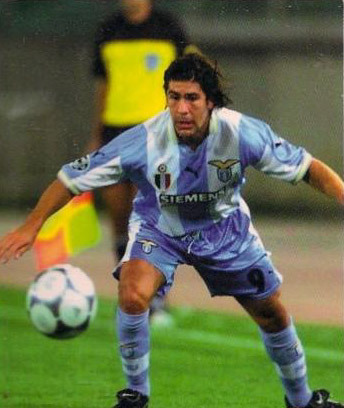 New sponsor Siemens gets to benefit from the association to these champions. 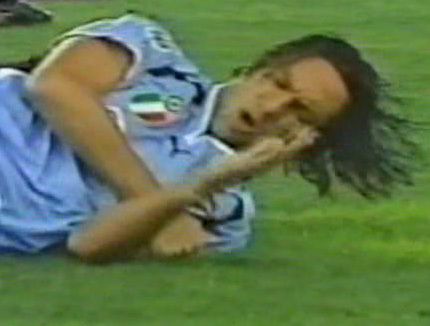 Lazio 2000 photos on celebrazio.net: Goal and Champion celebrations; shots of Czech Pavel Nedved; captain Alessandro Nesta; focus on the Lazio Forwards; focus on the Defense; close-up on the Midfielders; the "Bomber of Borovo" Sinisa Mihajlovic; assorted Lazio in Action; Chilean team leading scorer Marcelo Salas; others of Coaches and Extras; Argentina's Juan Sebastian Veron; players wearing the Scudetto; and the Day of Champions. 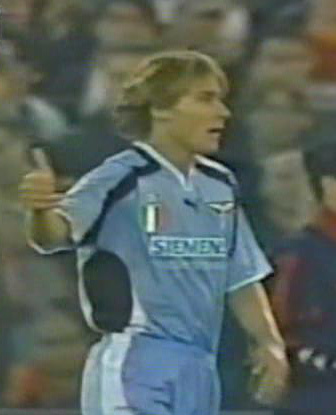 Pavel Nedved approves of the play. 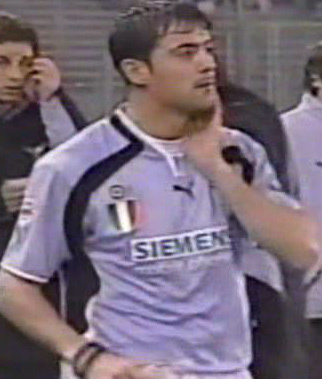 The Scudetto is paired with the Coppa Italia badge on each player's jersey. 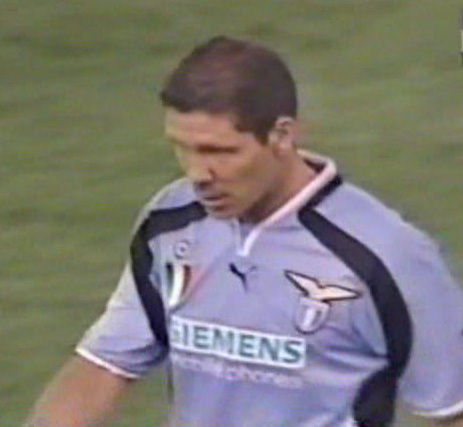 Here is Diego Simeone. 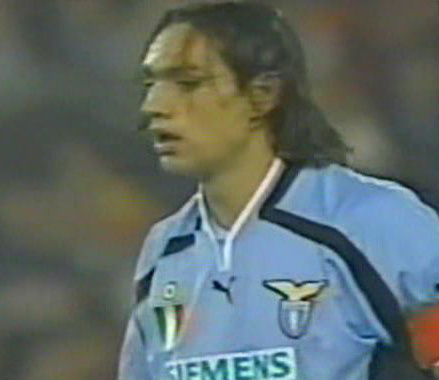 Nesta showing the Scudetto and Coppa Italia badge on the Puma jersey. 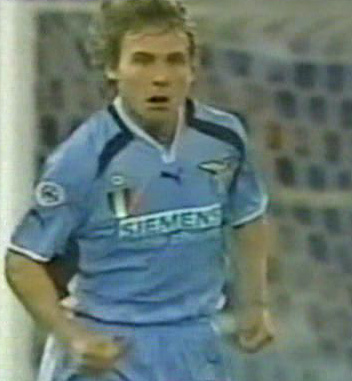 Nedved has just scored for Lazio. 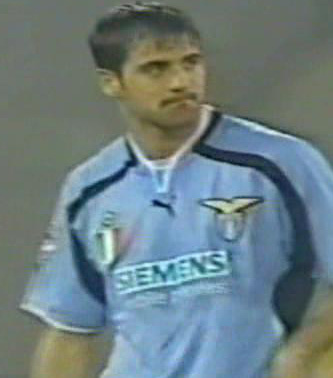 New signing for 2001 - Hernan Crespo. 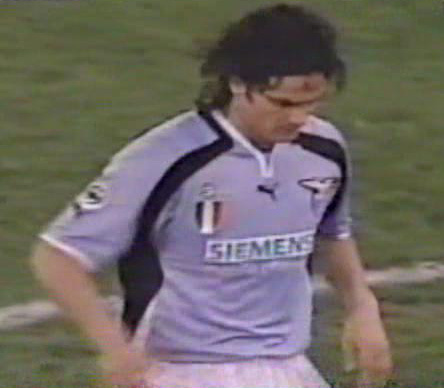 The Societa' Sportiva Lazio won their first Scudetto in 1974, led by Giorgio Chinaglia.